Although still unfolding in Nepal, the tragedy on Everest has finally come to a close. The loss of seventeen climbers and crew, though terrible, belies the heroism of the pilots in their small helicopters who brought the remaining 140 mountaineers to safety with countless flights carrying two or three each time across the still unstable landscape. As with Ontake, which erupted without warning in September of 2014, mountains are unpredictable and dangerous places and not all the risks can be planned for or even foreseen. No one expected an earthquake would bring down an entire mountainside. 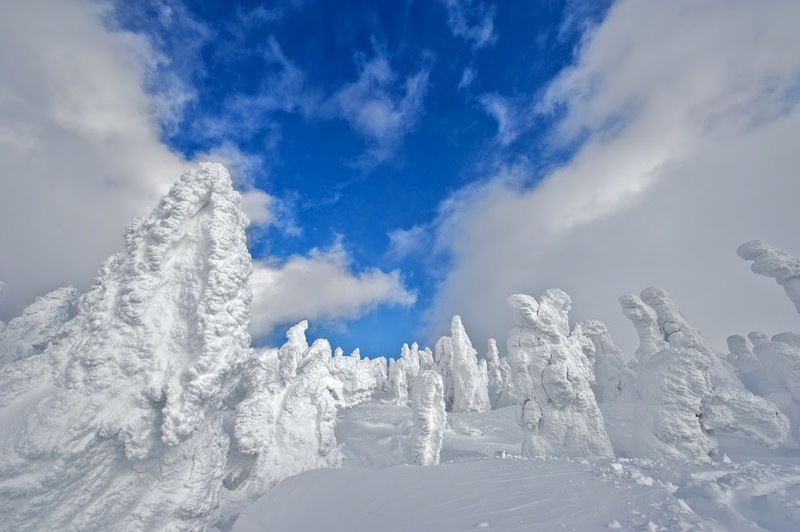 The worst mountaineering disaster in Japan happened in the brutal winter of 1902. The country was preparing for war with Russia, at the time a great European power, and had only shed it's feudal society some thirty years before. Concerned that the coastal roads and rail systems were vulnerable to shelling from the Imperial Russian Navy, the government looked to establishing a central supply route through the mountains of the northern province of Aomori. And so a contingent of 210 men, poorly equipped and unused to the icy winter environment, embarked on a twenty kilometre march in the last week of January. Although initially progress was good, four kilometres from their objective a blizzard came from nowhere. Disoriented and unprepared for the conditions, the men were soon lost in the whiteout as the temperature dropped to below -40C. Finally, a rescue team was dispatched three days later but by this time 193 men had already succumbed to exposure and six more would lose their lives after being rescued and brought to the relative safety of the garrison. Of the remaining eleven, only three survived unscathed to tell their story. As the Ghosts of the Hakkoda March will testify, mountains are hard.